The tarot first became used in the 15th Century as a card game in Europe. Over time, the tarot became a useful way to gain insight into information and events that were taking place. Since the 18th Century, it is now mostly used today to predict, confirm and solve obstacles which people are facing. How many cards are in a tarot reading? There are 78 cards in a tarot reading, and each card has a different meaning. Major arcana and minor arcana are the two subgroups which a psychic will place your cards into. The major arcana focuses on long-term energy, which has a large influence on the board as these are the main events/obstacles a person is facing. The minor arcana is still important as it allows psychics to piece information together and understand why the major card was chosen from the deck. By using the information gained from the major and minor arcana’s, the psychic has the ability to create a story which is relevant and accurate to the reader. A psychic does not pick cards, read them and send you on your way. A true psychic, like the psychics at Psychic Light, use their gifts and relate the cards back to your past. This intuition, guidance and skills allow the person having the reading to understand what they need to do or avoid in the present. Can anybody perform a tarot reading? Years of experience is needed to perform a tarot reading in an effective way. Each card offers a subtle meaning, and having the ability to piece together information that relates back to the person having the reading is a skill that is gained over years of experience. You need to have a psychic connection and experience in order to make the reading unique, magical and relevant. Why have a tarot reading? Tarot readings appeal to everybody, which is why they are still as popular today as they were in the 15th Century. 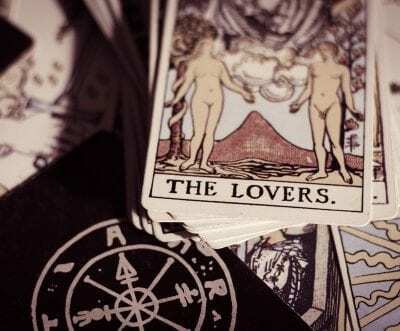 The majority of people seeking a tarot reading want to understand the situation they find themselves in now, as well as wanting to learn more about what the future holds. The tarot reader will be able to guide you and encourage you to prepare for any challenges or obstacles you will face in the future. What are Cups, Pentacles, Wands and Swords? The minor arcana contains four suits which are; Cups, Swords, Pentacles and Wands. Each suit symbolises a different area and the number on the card focuses on a specific area. For example, if you are drawn a Cup, then this symbolises emotion and spiritual experiences, but the number on the card shown will tell the psychic if the emotion is positive, negative, dangerous or exciting. This is why it’s important for you to have a tarot reading performed by an expert, otherwise your reading will not be beneficial. The readings are consistent among the psychics at Psychic Light, as we work with professional psychics who use their abilities to offer the best tarot readings. If you are curious to what your reading is, call Psychic Light today.